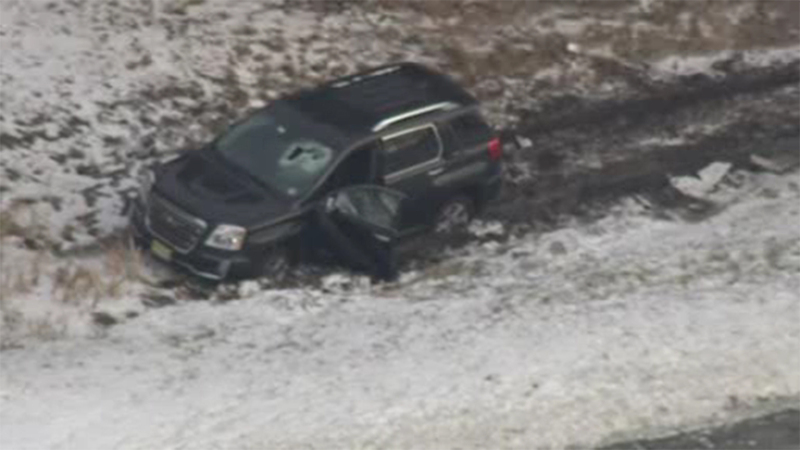 OLDMANS TWP., N.J. -- A man has died after police say he was struck by a 50-pound dumbbell that came crashing through the windshield of his vehicle while he was driving on the New Jersey Turnpike in Salem County. Police say 75-year-old Jack DeCarlo, of Hamilton Township, Mercer County, died Tuesday from injuries sustained in the incident. On Jan. 9, DeCarlo and his wife were driving on the New Jersey Turnpike in Oldmans Township when the 50-pound weight came through the windshield. His wife Pat, who was in the car with him, was not injured. The DeCarlos were on their way to Myrtle Beach, South Carolina, when he was hit by the dumbbell. Police are still trying to figure out where it came from.